Miruthan director Shakti Soundar Rajan’s next with Jayam Ravi has been titled Tik Tik Tik, yes in verbatim of the popular Kamal Haasan film.A first look poster of the film is being shared through Twitter, with the movie’s tagline saying ‘Race against time.’ The film has D.Imman taking care of the music department. What is interesting is the director who brought the fresh concept of zombies to Kollywood is going to take it to space in his next. It is already exciting to imagine Jayam Ravi clad in a spacesuit and the fact that we’re going to exploring something we’ve never seen before in Kollywood is all the more interesting! This page hosts a weekly slideshow related to Tamil movies. Each slide includes a picture and some description about that picture. All the slides will have a recurring theme. People looking for actress stills, actress images, actor stills, actor images, movie stills, movie images, and other interesting topics, relevant issues in Tamil cinema will find this page useful. 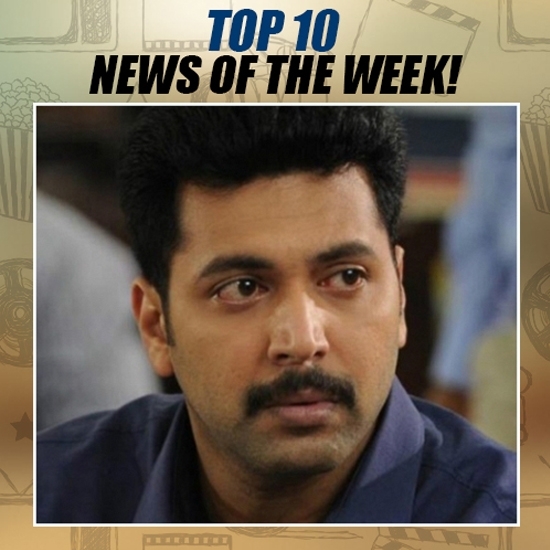 JAYAM RAVI'S GETS A POPULAR 1980S KAMAL TITLE | Top 10 news of the week (August 28 - Sept 3).